"Over himself, over his own body and mind, the individual is sovereign." In 1859, a British philosopher, John Stuart Mill, stunned Victorian Britain with his treatise regarding an individuals' moral and economic freedom from the state. His work, On Liberty, has subsequently become an important and influential work for how we perceive our personal relationship with society today. 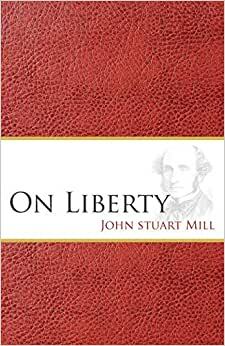 Mill's style is both intelligent and wise and to this day, a copy of On Liberty has been passed to the president of the British Liberals, and then Liberal Democrats, as a symbol of office and succession from the party that Mill helped found. With its core message as relevant now as it was back in 1859, On Liberty is a must read for anyone interested in philosophy, sociology or politics. In this newly typeset edition, never before has Mill's work been so lucid. Start reading On Liberty (Illustrated) on your Kindle in under a minute. Reading Mill at this particular moment in our history is to be reminded not only of the source of our most cherished ideals of liberty and political liberalism but also of the powerful logical and moral reasons supporting our idea of individual freedom and responsibility. Both the writing and the supporting arguments are models of clarity, intellectual modesty and common sense. What a sad contrast to the empty headed slaganeering of today's political and moral discourse. A solid work that everyone should read, regardless of political alignment. How do we balance societal well being with personal liberty? In an ideal democracy, the will of the government becomes the will of the majority, so how do we protect the minority? Why are free speech and diversity (even eccentricity) so desirable in the first place? Mill has some ideas. Pros: One of the most practical pieces from the utilitarian thinkers of the era. Almost prescient on a number of matters (his genealogy of christian morality, proto-feminist thinking, religious diversity as including atheism). Cons: I don't think that Mill ever fully resolves the concept of social tyranny in this work, which he rightly gives serious thought. Additionally, there is some (unsurprising) apologia for imperialism, and his assumption that Parliament is, or will become shortly, the will of the people, seems a bit overly optimistic. Regardless of these quibbles, I think this is an important read for anyone interested in political philosophy. John Stuart Mill is one of the giants of political/practical philosophy. 4.0 out of 5 starsA Strong Case Against Government Interference and "Group Think"
Mill was an atheist and decidedly anti-Christian, and I state this for those who need to take this into account before reading an essay on world view. Despite this fact, John Stuart Mill would be most displeased with how Christians and religious conservatives are being vilified these days. He is definitely NOT in favor of shutting down dissenting opinions or open discussions, and the book has some potent quotes that could be applied to today's "politically correct" shenanigans. He makes a very strong case against the type of soft tyranny we are seeing today with regard to prevailing opinions on controversial topics. He clearly states that protection from government tyranny is not enough; there is also the tyranny of popular opinion toward unpopular opinion, and that people should be protected from this as well. Timely and relevant. Warning: the book is short, but it is not an "easy read." Well worth it nonetheless.